The Domaine des étangs is situated in the renowned region of France for its cognac and its wonderful countryside. The nearest tiny village with its 400 inhabitants is called Massignac but the Limoges airport is only 40 km! 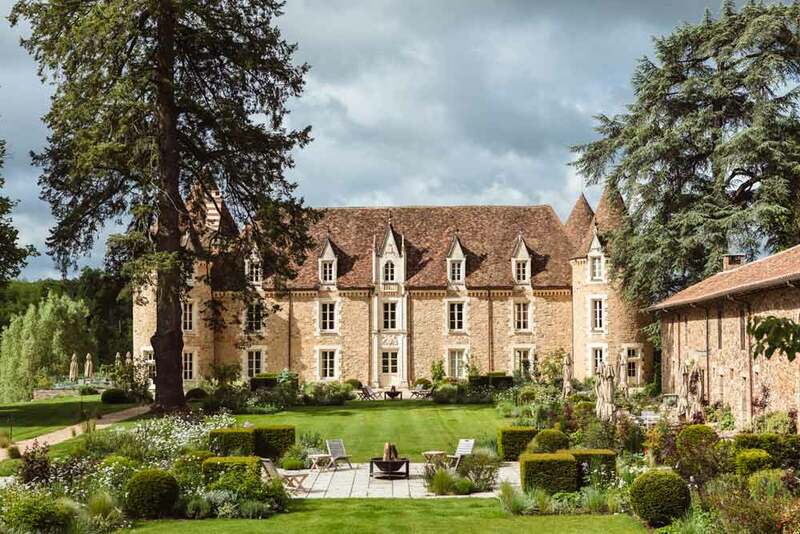 The hotel is an authentic family owned eleventh century castle set on 2000 sprawling acres of farmland. It offers seven lakes, a Michelin star restaurant, a vegetable garden, Gallo-Roman baths, a floating tennis court, two swimming pools and a divine spa. There are just seven unique suites in the caste but there are also six farm house cottages with large private gardens situated around the grounds making a total of 29 rooms. This meticulously restored country retreat with its elegant turrets and sweeping grounds offers a magical setting between forest and lake. Paddle a rowing boat on the water, cycle through the estate or simply sit back and savour the tranquil surrounds. Outdoors, you’ll find yourself in a storybook landscape of waterways and woodland. As you stroll, look out for wildlife – from herons and otters to deer and Limousin cows. 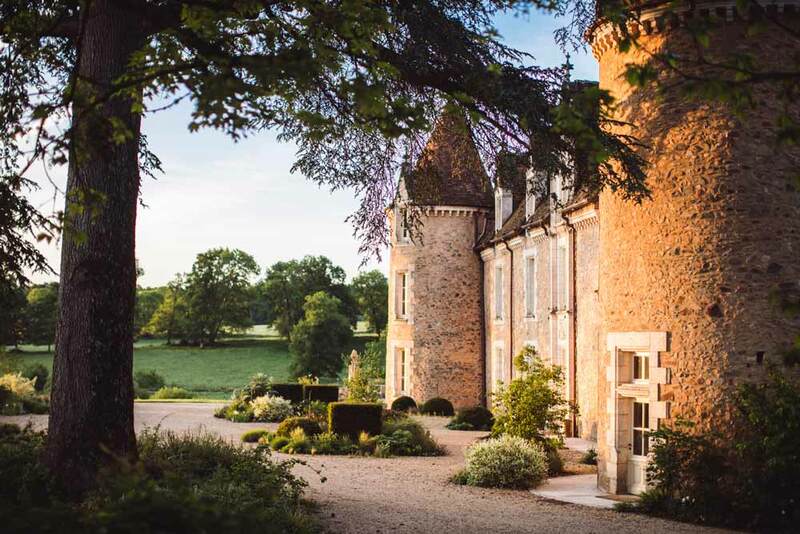 Five Star PR has just commenced work on this fairytale castle already inspiring Lee Tulloch of Vogue Living and Mr and Mrs Amos to venture over and write a story. Watch this space.